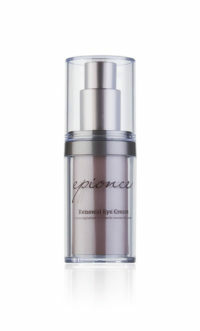 October and November’s Product Special is 20% off Epionce Renewal Eye Cream! This eye cream is a moisturizing go-to treatment for all skin types that helps reduce the appearance of fine lines and wrinkles around the delicate eye area. Renewal Eye Cream’s key ingredients reveal more youthful, healthy-looking and beautiful skin. Its soft focus technology actually scatters and diffuses light, which helps reduce the appearance of dark circles and puffiness around the eyes. It’s simple to use. Just gently apply to the eye area 1-2 times daily. Stop by our offices and stock up on Epionce Renewal Eye Cream at this great discount before the end of November!